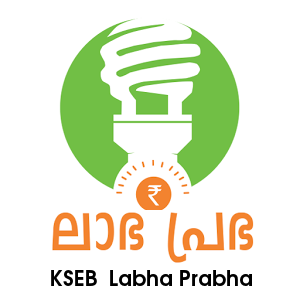 In March 2013 KSEB has introduced LABHA PRABHA scheme targeting domestic consumers to encourage them in conservation of electricity. Rs 6 Crores worth price was announced by KSEB in the First season of Labha Prabha scheme in 2013. This Year KSEB has announced LABHA PRABHA 2014 Season 2 meant for domestic consumers and promises gifts and other incentives for saving electricity. The KSEB is focusing on school students to spread the message of energy conservation and has announced 5 KW grid-connected solar power units for 10 schools in each district, which will cost the KSEB Rs 6 crore. Students are requested to encourage their parents to register in the scheme through any of the following options. Those who are registering for this scheme will get a CFL Lamp as enrollment price. How to register for KSEB's Labha prabha Campaign 2014?